There's so much to see and do in Darwin, from the Doctor's Gully hand fish feeding to the fascinating NT Museum of Arts and Sciences. The Darwin Aviation Museum is a fascinating attraction while the Fannie Bay Gaol Museum will take you back in time. The Darwin Wharf Precinct enjoys stunning views of Darwin Harbour and is the ideal stop for lunch with its wide range of dining options. The ocean road that winds along the coast makes for a scenic drive and offers excellent views of Darwin's picturesque scenery. The Crocodylus Park & Education Research Centre puts you in touch with nature while the city centre and Casuarina Shopping Square offers a huge range of shopping options. The Skycity Casino is the perfect way to finish off your day with a wonderful meal or some gambling if you're feeling lucky. Then, Thursday evenings come alive with the Mindil Beach Markets during the dry season offering a huge range of stalls as well as 60 food tents from over 20 countries. Get up close and personal with some of the Northern Territory's most famous wildlife with the Humpty Doo Reptile Park, Territory Wildlife Park and Crocodile Farm. Hold one of the resident reptiles or see majestic wedge tailed eagles soar then enjoy a relaxing stroll through a huge domed aviary. The aquarium tunnel offers a unique perspective on sawfish, barramundi and turtles as they swim above you while the Nocturnal House transforms day into night with unique nocturnal wildlife such as the Ghost Bat and Rock Wallaby. Heading from Darwin along Cox Peninsula Road, stop off to explore 400 acres of bushland in the park or continue on to the Majestic Orchid Farm where you can go horseback riding and see how orchids are grown at Australia's largest tropical orchid farm. 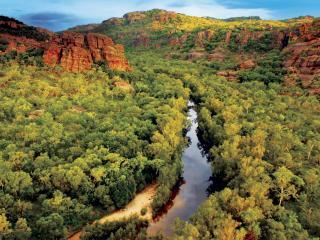 Litchfield Park is a 146,000 hectare sandstone plateau comprising much of the Tabletop Range and surrounded by cliffs. The patches of rainforest and adjacent spring supplied waterfalls that plunge from the edge of the plateau are the park's main attractions with Florence Falls in the east offering the best swimming in the dry season and Wangi Falls ideal for picnics and camping year round. Access to the park is best via Batchelor which brings you in at the park's east end. Florence Falls is approximately 18km from the park boundary at the Batchelor entrance. 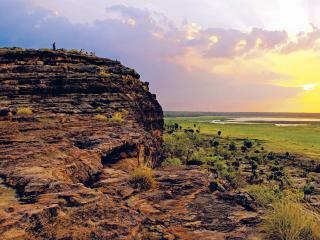 Kakadu is an amazing landscape that changes seasonally and offer some of Australia's most famous Aboriginal rock art and a unique range of native wildlife. Nourlangie Rock and Ubirr are some of the most well-known attractions as well as the unique Yellow Water Billabong wetlands cruise. Twin engine plane or helicopter scenic flights offer a unique perspective of Jim Jim Falls while exploring on foot gets you close to all of the action. 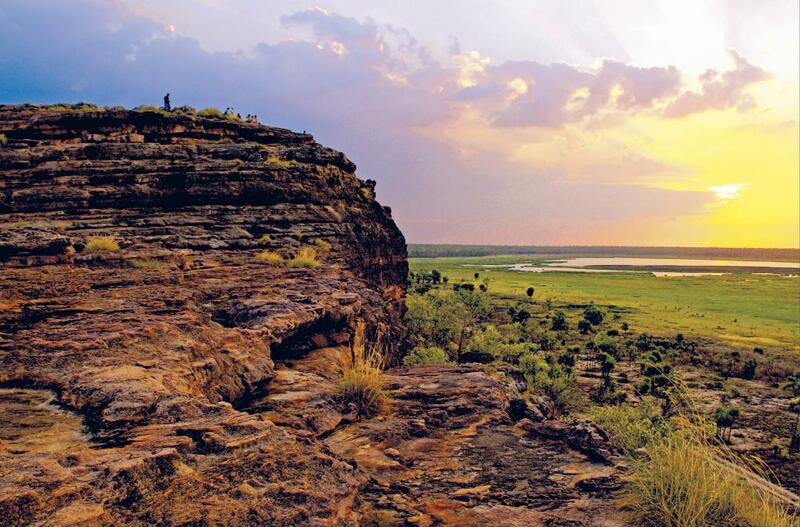 Access to the Kakadu National Park from Darwin is via the Stuart and Arnhem Highways with a park entrance fee that is valid for 14 days from purchase. 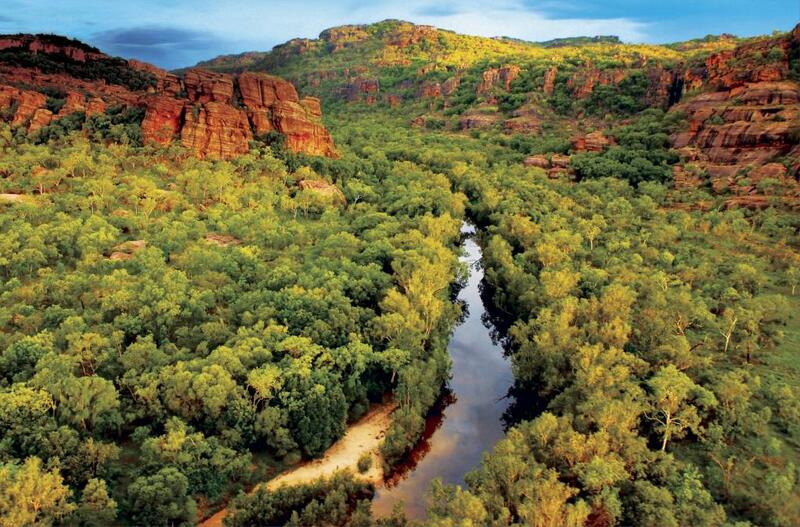 Katherine is accessible along the Arnhem and Stuart Highways or the Kakadu Highway via Pine Creek and offers some attractions along the way including the Adelaide River's famous Jumping Crocodiles. Head south to the amazing limestone caverns of the Cutta Cutta Caves home to rare and engendered species including the orange horseshoe bats as well as impressive rock formations. The Katherine Gorge is also a must see for its spectacular views and steep gorges separated by rapids that forge raging torrents through the waters during November to March but remain calm in the dry season. The visitors centre and camp site is 30km along a sealed road with the car park that marks the beginning of the gorge and cruises just 1km away. Head south along the Stuart Highway to the famous Australian gold mining town of Tennant Creek. 7km south of the town just off the highway is Mataranka Homestead, home to a thermal pool, plenty of rainforest and a relaxing place to get back to nature. Accommodation in the form of hostels, motels or campsites is also available here. While in Tennant Creek you can learn all about the process of mining, treating and processing gold into ingots at places like the Tennant Creek Battery and the National Trust Museum. Schmidt Street also offers reconstructions of mining scenes while One Tank Hill Lookout offers stunning views. 90km south of Tennant Creek along the Stuart Highway you'll find the group of round boulders set on either side of the road known as the Devils Marbles. One of the major attractions of Alice Springs, the marbles hold significant meaning for the local Aboriginal people. The Stuart Memorial is also a popular attraction and commemorates John Stuart in Australia's geographical centre as well as the repeater telegraph station in Barrow Creek complete with linesman and station master graves. Travel back in time in Alice Springs with a number of heritage walks and historical sites including Panorama Guth, gaol, early school, old homes, first Government Residence and the Royal Flying Doctor Service. For something a little different, why not try a camel ride, visit the Northern Territory's only winery or see the famous MacDonnell Ranges from the height of a hot air balloon. 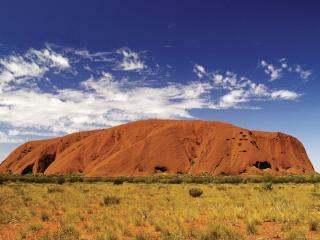 Travel through the outback landscape to Ayers Rock (Uluru) and see the largest monolith in the world. 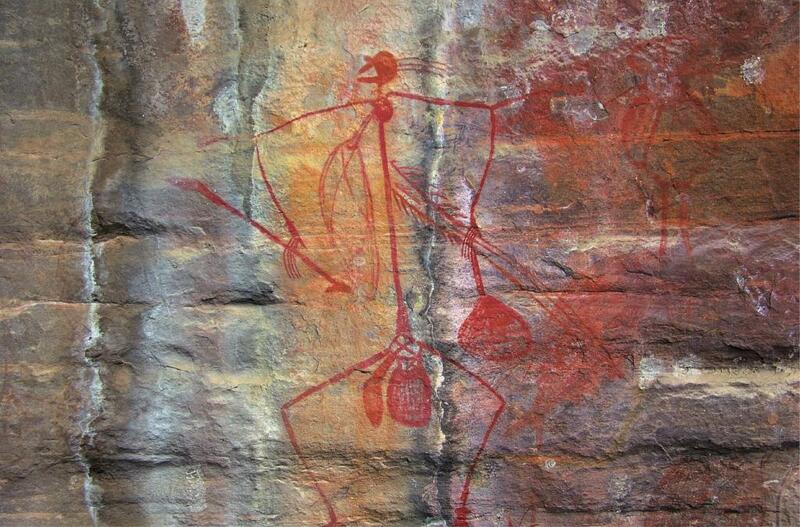 Visit the Ranger Station and the Muruka Arts and Crafts Centre for Aboriginal handicrafts that you can take home. 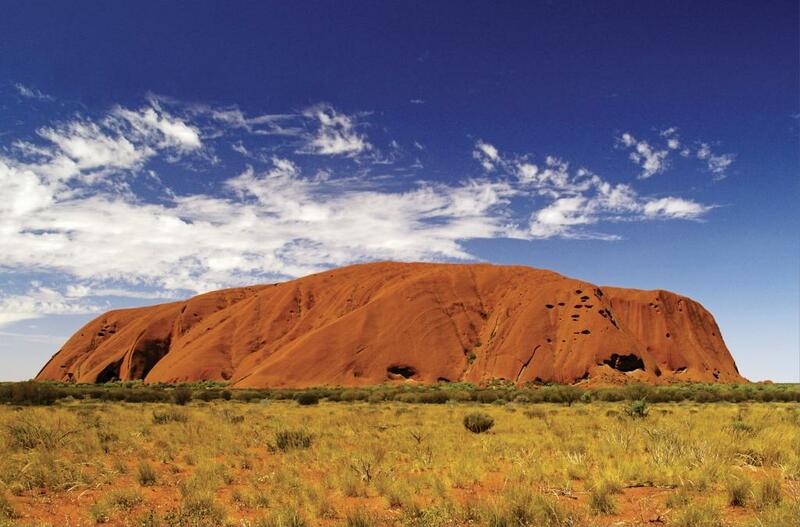 Ayers Rock (Uluru) and The Olgas (Kata Tjuta) are some of the greatest wonders in the world and are owned by the local Aboriginal people. This amazing natural attraction offers amazing views, unique photo opportunities, some of the most spectacular sunrises and sunsets as well as unbelievable nature walks. Travel 197km along Stuart Highway then turn onto the Lasseters Highway and continue for another 199km to the amazing Kings Canyon. Renowned as Australia's 'Grand Canyon', this awe-inspiring gorge is home to a number of natural attractions including the Lost City and Garden of Eden waterholes. 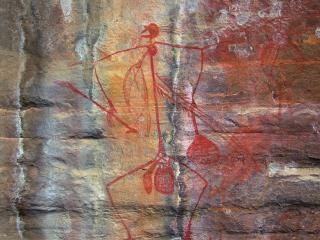 With walking trails and unbelievable views, Kings Canyon is also accessible via Mereenie Loop Road with a 4WD. Kings Canyon by morning is a kaleidoscope of colours from the Watarka National Park which gives way to a maze of boulders at the beginning of Mereenie Loop Road. Head along Ernest Giles Road and on to Luritja Road and enjoy the unique landscapes as you continue on Lassiters Highway on your way to Australia's most iconic landmark, Ayers Rock (Uluru). As hard as it is to say goodbye to Ayers Rock (Uluru) the Stuart Highway will take you 485km south to the world's opal capital at Coober Pedy. See the beautiful famous gemstones and the unique underground homes of the people who mine them. Continuing on towards Adelaide, leave plenty of time for stopping off at the wide range of vineyards and historical sites scattered around the countryside.